Regardless the level of play or strength, there is one thing that every dedicated player can achieve and that is the ability to “think like a grandmaster”. Very often we struggle with problems such as poor calculation skills, lack of opening preparation, little endgame knowledge or even handling the time pressure that prevent us from reaching a higher level. 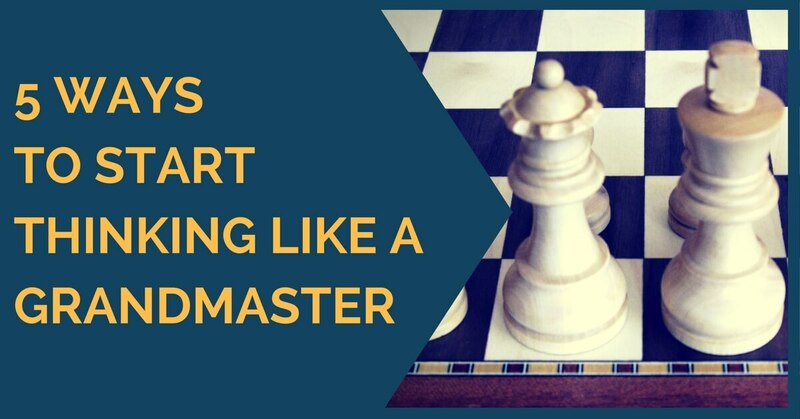 However, this does not mean that we are far from the thought process of a Grandmaster; it only means that GMs manage to solve these situations successfully easier and more often than we do. 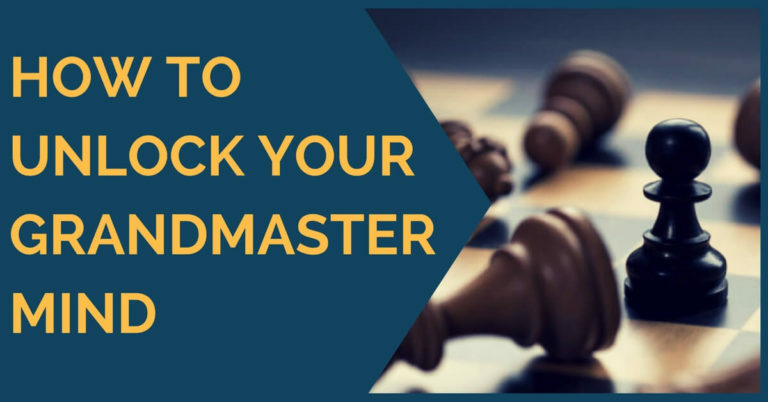 How to think like a grandmaster? What is it that they see differently from the rest? 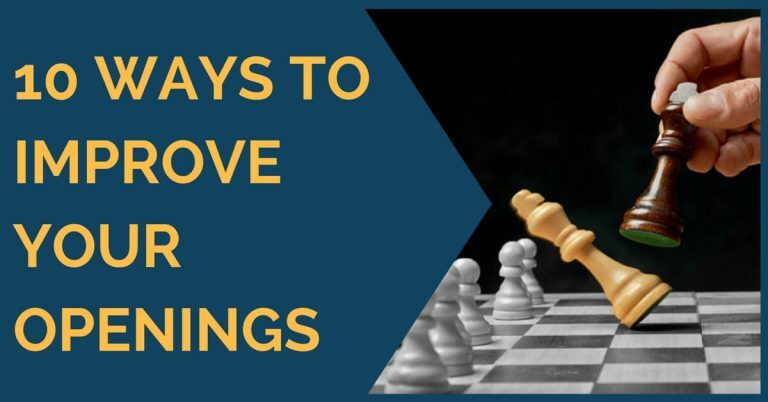 In this article we are going to give you 5 tips that could help you improve your chess thinking to a higher level and therefore you’ll make better decisions at the chessboard. Needless to say, the mentality has nothing to do with your playing form. Every GM has a reasonable level at all areas of chess, some stronger than others but in the end everything adds up and that’s what makes a GM a tough player to beat. He will solve tactical problems, positional and endgame ones because of his overall level that can only be achieved through training and playing. What would a grandmaster do? 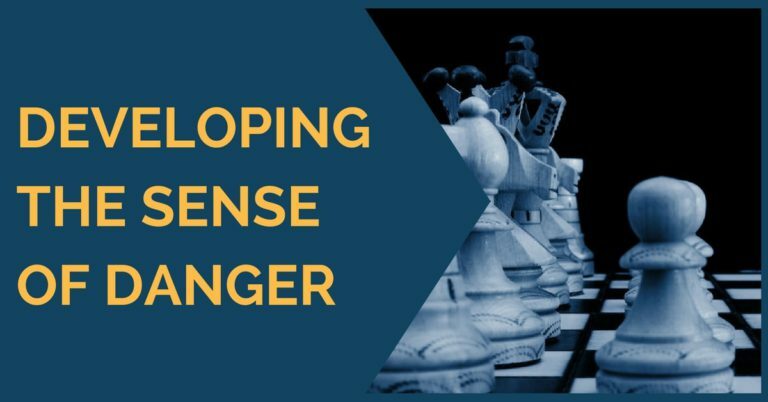 Very often the weaker players are easily tempted by quick attacks out of the opening or sometimes tactics in the middlegame that are not so difficult to spot. The thought of “but maybe my opponent won’t see it” has to be completely erased from your mind; you will lose more with it than you will win. A GM is not disturbed by this. In fact, tactics is the last thing he will try during the game and it can occur because of two things – there is either no way to avoid them or they look promising. Look for deeper moves, sound moves that improve your position and create subtle problems for your opponent; that’s one of the key things. Believe it or not, this is perhaps one of the most important things to master in order to achieve success in chess. Most of your decisions come from a previous assessment of the position you’re playing. A wrong evaluation will lead to a bad plan and vice-versa. If your position is worse you need to find out what exactly is wrong with it and try to improve it. If you have an advantage you need to figure out what kind of advantage it is and how to make the maximum of it. If the position is equal keep making improvements or static moves that don’t deteriorate your position, wait your chance and let your opponent take the risk. Many GMs apply this strategy when playing weaker opposition. They strengthen their positions and “wait” for the opponent to (wrongly) start the first attack. Learn to appreciate defense as you appreciate attack. Very often the art of attack is rightly praised, and when we face positions that look ugly or are difficult to defend for our opponent we overestimate our chances thinking that the victory is certain and then it is not. Open your mind and have no prejudice about the position. It is possible that you’re better but not enough to win and that’s OK.
One thing you can’t do is try to win it at all cost. Sometimes we over-press, deteriorate our own position and then the outcome is decided against us. We should always be aware of our opponent’s chances, especially when they are worse! Yes, emotions. Feelings are a great enemy for every chess player but when you lack experience it is even worse. They usually arise when you’re winning and that’s the worst part. You’re excited about what’s happening on the board, you start imagining already a post-mortem analysis and suddenly the victory is further and further away and more often than not it slips away. A GM keeps his blood cold at all stages. This is useful, as it keeps the logical reasoning and concentration only on what’s happening on the board. Don’t get carried away by emotions at the chess board. Try to keep it simple as if you were fulfilling a school test; just answer the questions (play the right moves). Capablanca once said that if you see a good move you should play it. If you believe in it, then just play it; it doesn’t matter if you lose in the end. The point is that you should base your decisions only on your judgement. If you feel like the position demands to take risks go ahead. Do not be intimidated by the strength of your adversary or by what your coach or training partner could say to you after the game. Simply trust your reasoning behind your moves and go ahead, if you lose you also learn. You might want to read these ideas once or twice until they become natural to you. It will certainly make a difference in the way you see and play chess. Thank you for reading and, as usual, feel free to comment with your thoughts and suggestions!